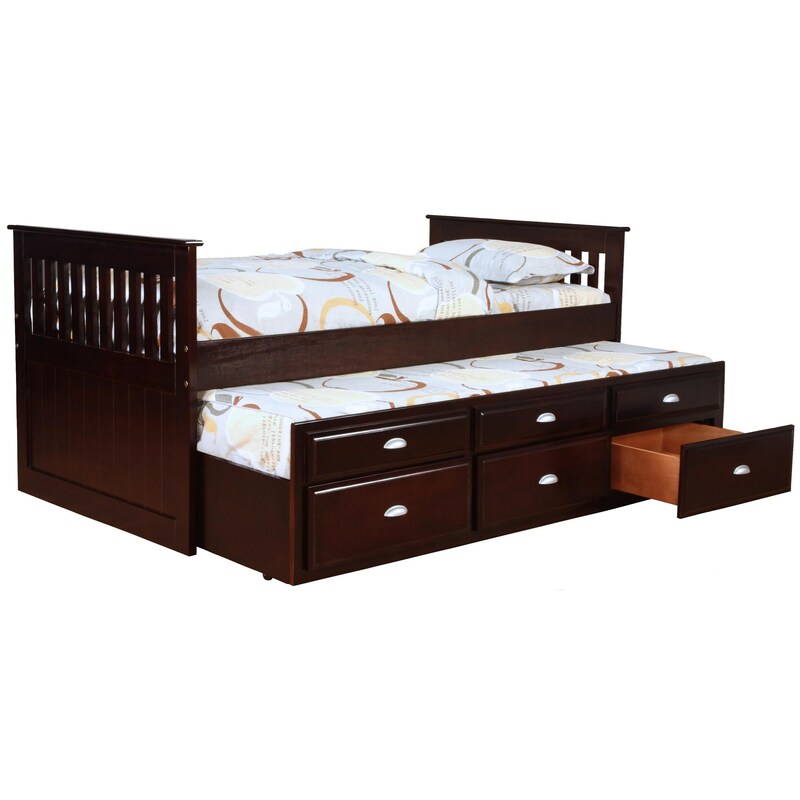 This twin captain's bed is great for the youth bedroom of a boy or a girl. Available in an espresso or white finish, kids will delight in having the pull-out trundle bed for hosting a friend for a sleepover. The trundle will hold a mattress (sold separately) up to six inches and stows easily under the bed when not in use. Parents will love the three storage drawers in the trundle that help keep clothing, toys, and books organized in a youth bedroom. The casual slats of the head and foot of the bed and silver finish pulls complete the look of this multifunctional captain's bed! The Logan Captain's Bed with Trundle and Storage at Miskelly Furniture in the Jackson, Pearl, Madison, Ridgeland, Flowood Mississippi area. Product availability may vary. Contact us for the most current availability on this product.